This photo was one of those lucky shots. 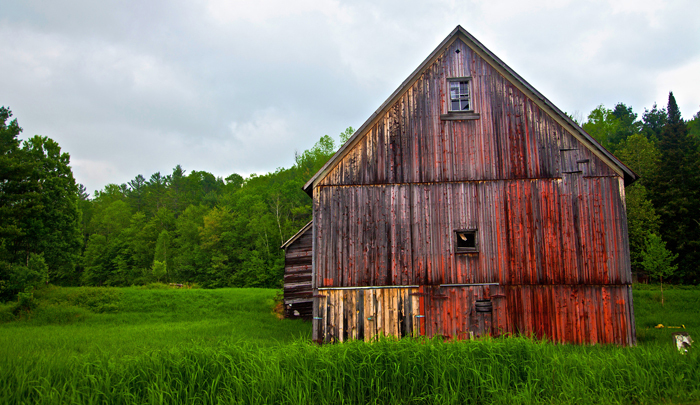 I was driving south on State Road 14 in Vermont about 20 miles north of Montpelier when I saw this barn. I had the camera in my hands, rolled down the car window, and snapped this photo as I was driving. It’s probably one of my best barn shots to date and I love the variety of colors on the barn wall. I don’t think of there being any old Vermont barns as I usually forget that farming and agriculture are a big industry. This old barn is probably at least 100 years old, if not older. 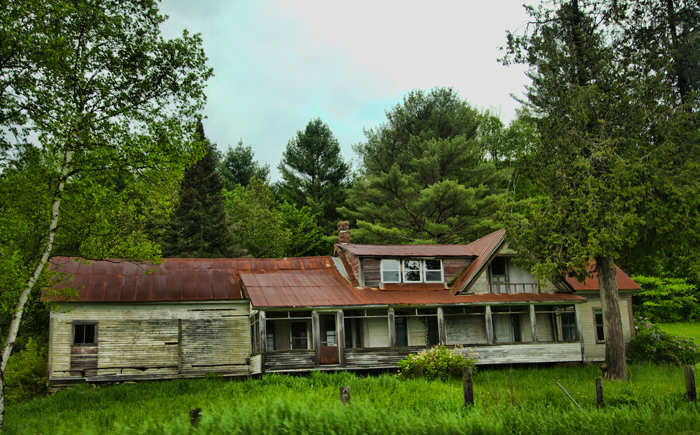 The old house in the photo below was next to the barn and appeared to be on the same property. Check out the rest of my photography! Vermont Barn by Joey B. Lax-Salinas is licensed under a Creative Commons Attribution-NonCommercial-NoDerivs 3.0 Unported License. Permissions beyond the scope of this license may be available at http://www.joeyblsphotography.com. 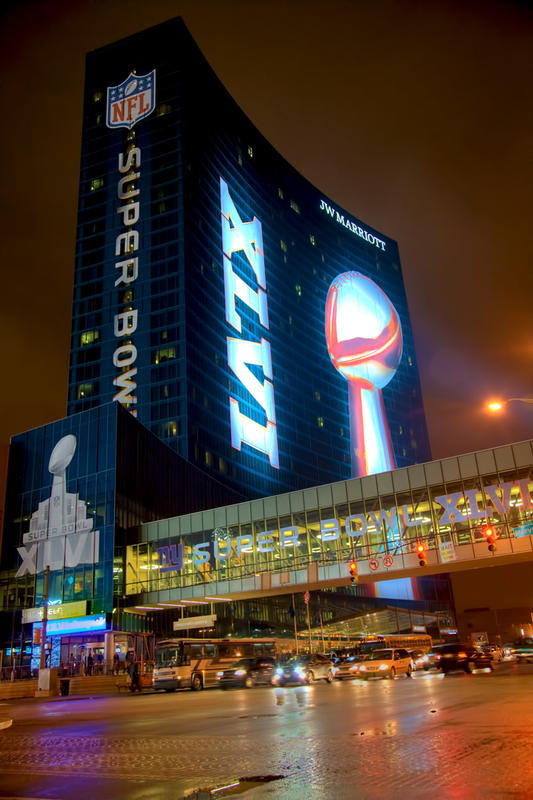 The entrance of the JW Marriott Indianapolis hotel the night before Super Bowl XLVI at Lucas Oil Stadium in Indy. The photo above was taken at the top of the parking garage across the street at the corner of Maryland and West St just after midnight on February 5, 2012, about 17 hours before the big game between the New York Giants and the New England Patriots. The photo of the JW Marriott in Indy below was taken at the SE corner of Maryland and West St, just south of the parking garage and at ground level. Be sure to check out my other Indianapolis Super Bowl photos including Monument Circle and the Bud Light Hotel in Indianapolis. JW Marriott Indianapolis Super Bowl XLVI by Joey B. Lax-Salinas is licensed under a Creative Commons Attribution-NonCommercial-NoDerivs 3.0 Unported License. Permissions beyond the scope of this license may be available at http://www.joeyblsphotography.com. This was one of those lucky photos. I pulled the car over at just the right spot at just the right time of the day and caught this shot as Rose and I were driving towards Lake Placid, NY in the Adirondacks along the Saranac River. Blue Sky in the Adirondacks by Joey B. Lax-Salinas is licensed under a Creative Commons Attribution-NonCommercial-NoDerivs 3.0 Unported License. Permissions beyond the scope of this license may be available at http://www.joeyblsphotography.com. 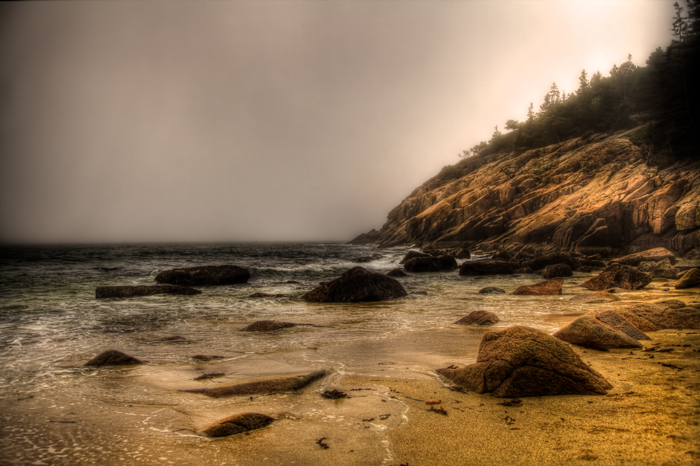 This HDR photo was taken at Acadia National Park in May 2011 as Rose and I reached the furthest point of our east coast road trip. Acadia National Park was very foggy on the day we arrived, but often times we would get a glimpse of the bluffs and cliffs along the oceanside. Acadia National Park Beach by Joey B. Lax-Salinas is licensed under a Creative Commons Attribution-NonCommercial-NoDerivs 3.0 Unported License. Permissions beyond the scope of this license may be available at http://www.joeyblsphotography.com. 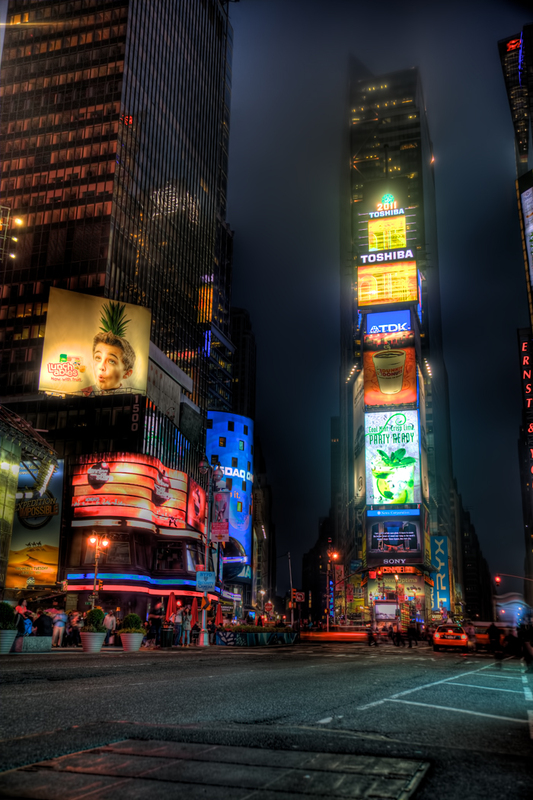 The lights of Times Square look amazing at almost any time of the day. 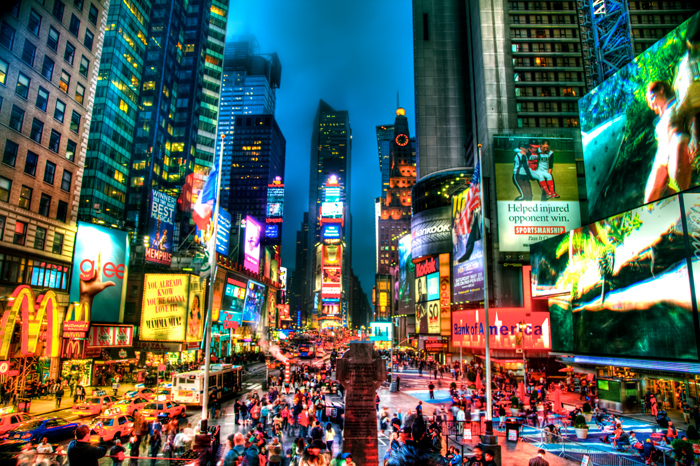 On this day, it was foggy and raining, but this HDR photo of Times Square in New York City has some incredible color and contrast, contrary to what the evening was actually like. Be sure to check out the old Tribeca buildings I photographed on Church St! Times Square New York City by Joey B. Lax-Salinas is licensed under a Creative Commons Attribution-NonCommercial-NoDerivs 3.0 Unported License. Permissions beyond the scope of this license may be available at http://www.joeyblsphotography.com. The Maid of the Mist is certainly a unique ride! In this photo, the Maid of the Mist boat gets as close to the Horseshoe Falls as it can as it gives tourists an up close view of Niagara Falls. These photos were taken from the Rainbow Bridge, the main roadway into and out of Canada from the United States. Niagara Falls with Maid of the Mist by Joey B. Lax-Salinas is licensed under a Creative Commons Attribution-NonCommercial-NoDerivs 3.0 Unported License. Permissions beyond the scope of this license may be available at http://www.joeyblsphotography.com. Newport, Rhode Island bluffs and cliffs nears Ocean Ave. This photo was taken in May 2011 at the bottom of the “40 steps” near the famous Newport mansions. Rose and I spent a couple of hours in Newport, RI as we passed through heading from New York City to Boston. We visited downtown Newport, had some lunch, then took a scenic drive down Ocean Ave before heading into Providence and then on to Boston for the night. Cliffs of Rhode Island by Joey B. Lax-Salinas is licensed under a Creative Commons Attribution-NonCommercial-NoDerivs 3.0 Unported License. Permissions beyond the scope of this license may be available at http://www.joeyblsphotography.com. 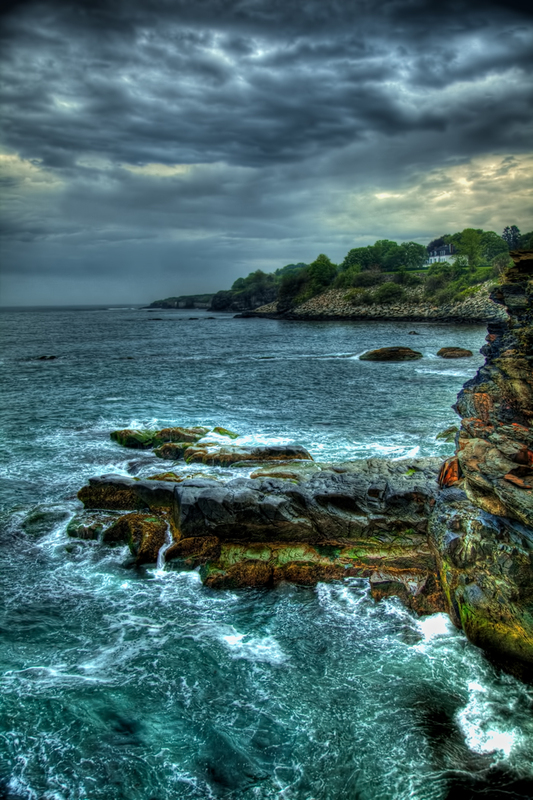 Newport, Rhode Island is a beautiful place to be almost any time of the year. I was there in May 2011 and took this HDR photo of these boats in the Newport, Rhode Island harbor. If you plan to visit Newport, RI, be sure to take a walk through the downtown area where there are plenty of places to eat and shop. Rose and I ate at Brick Alley Pub and had lobster bisque soup which was probably the best lobster bisque that we had on our road trip! Be sure to take a drive down Ocean Avenue to see the famous mansions and the view from the bottom of the 40 steps and scenic oceanside drive! Newport, Rhode Island Harbor by Joey B. Lax-Salinas is licensed under a Creative Commons Attribution-NonCommercial-NoDerivs 3.0 Unported License. Permissions beyond the scope of this license may be available at http://www.joeyblsphotography.com. 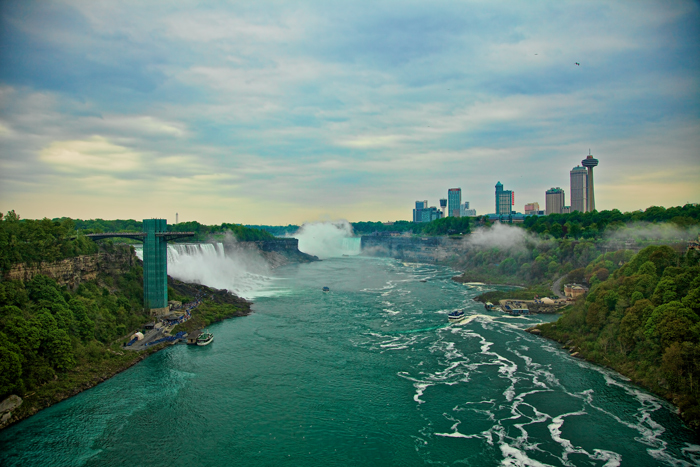 This HDR photo of Niagara Falls was taken in May 2011 while Rose and I were on the last leg of our east coast road trip. I had taken a photo of this tree at this same location about five years earlier and wanted to try to capture the same angle with the same things in the photo. The tree didn’t look any larger that it did when I saw it years earlier. Don’t forget to check out my photos of Rainbow Bridge too! Niagara Falls with Tree by Joey B. Lax-Salinas is licensed under a Creative Commons Attribution-NonCommercial-NoDerivs 3.0 Unported License. Permissions beyond the scope of this license may be available at http://www.joeyblsphotography.com. I saw this rainbow in my rear view mirror just minutes after driving out of a brief storm. I quickly got out of my car and found myself at a scenic pull off with a river and the rainbow going right over it. Rainbow in the Adirondacks by Joey B. Lax-Salinas is licensed under a Creative Commons Attribution-NonCommercial-NoDerivs 3.0 Unported License. Permissions beyond the scope of this license may be available at http://www.joeyblsphotography.com. The Webb River runs under US Route 2 as it passes between Dixfield, Maine and Mexico, Maine in the western part of the state. I took this photo as Rose and I were on our east coast road trip. We had left Acadia National Park in Bar Harbor, ME earlier that day and were heading into New Hampshire to sleep before waking up and driving to Lake Placid, NY. Check out the photo of the Webb River waterfall on the other side of the bridge! Webb River in Dixfield Maine by Joey B. Lax-Salinas is licensed under a Creative Commons Attribution-NonCommercial-NoDerivs 3.0 Unported License. Permissions beyond the scope of this license may be available at http://www.joeyblsphotography.com. 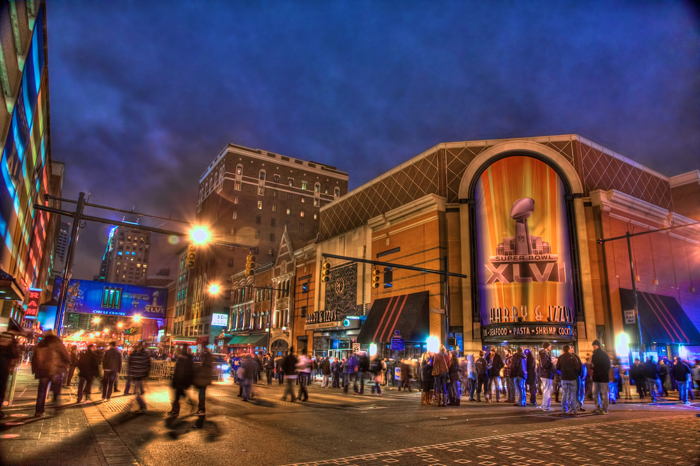 This is probably one of my favorite photos that I took on the night before Super Bowl XLVI in downtown Indianapolis. I love the color, but most of all, I just love how Indianapolis looks so alive in this photo. This photo was taken around 1:00am at the corner of Maryland St. and Illinois St., just south of Monument Circle. Also check out the photo of the Bud Light Hotel! Night Before Super Bowl XLVI in Indianapolis by Joey B. Lax-Salinas is licensed under a Creative Commons Attribution-NonCommercial-NoDerivs 3.0 Unported License. Permissions beyond the scope of this license may be available at http://www.joeyblsphotography.com. 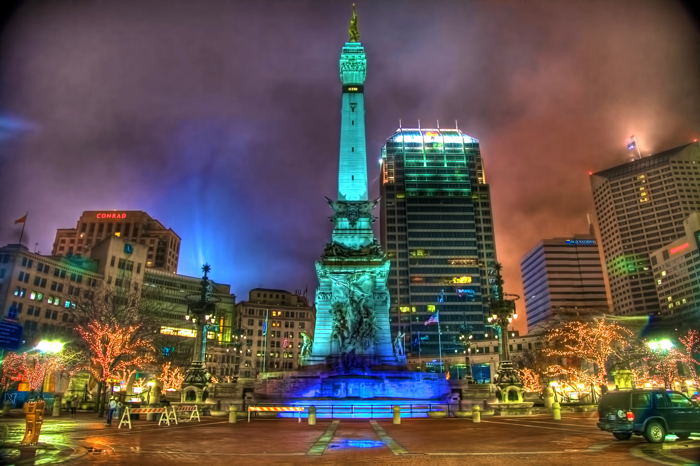 Monument Circle in downtown Indianapolis was brightly lit in the days leading to Super Bowl XLVI at Lucas Oil Stadium in Indianapolis. This photo was taken at 2:00am in the hours just before Super Bowl XLVI 46 took place between the New York Giants and the New England Patriots at Lucas Oil Stadium in Indy. The large letters “XLVI” stood just to the left of the field of view of this photo, signifying the 46th Super Bowl taking place in Indianapolis. Indianapolis was a great host city for Super Bowl XLVI and fortunately, the weather cooperated in the days leading up to the big game. People from all over poured into Indianapolis and enjoyed the Super Bowl Village, fully equipped with zip lining, the NFL Experience, food, drinks and more. The Hampton Inn in downtown Indianapolis was transformed into the Bud Light Hotel Indianapolis and hosted several bands and activities. 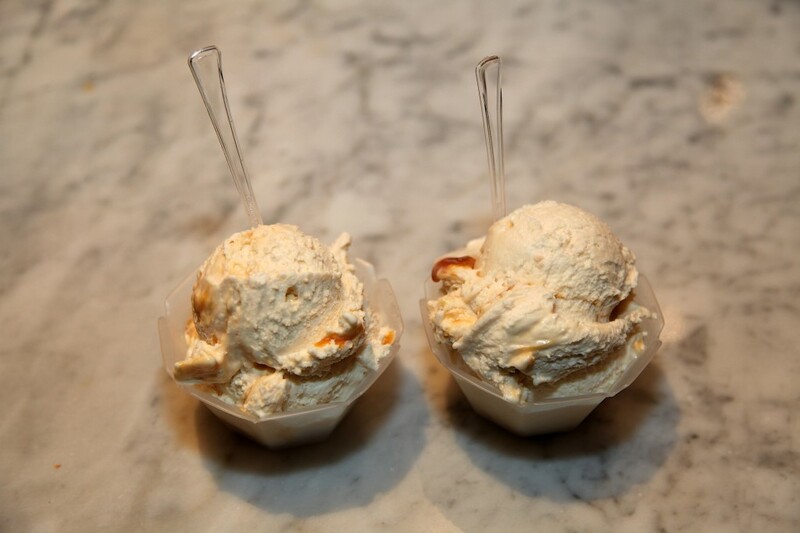 Downtown Indianapolis turned into one big party in the week leading up to the Super Bowl. Many of the downtown streets were closed to traffic and people crowded the streets along Maryland St., Meridian St., Illinois St. and more to celebrate Indianapolis as the host city for a Super Bowl for the very first time. Monument Circle Indianapolis HDR by Joey B. Lax-Salinas is licensed under a Creative Commons Attribution-NonCommercial-NoDerivs 3.0 Unported License. Permissions beyond the scope of this license may be available at http://www.joeyblsphotography.com. 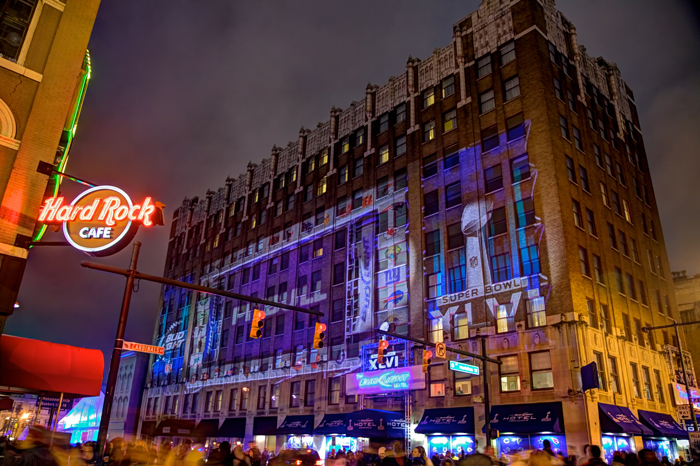 The Hampton Inn in downtown Indianapolis was transformed into the Bud Light Hotel for the days leading up to Super Bowl XLVI 46 at Lucas Oil Stadium. 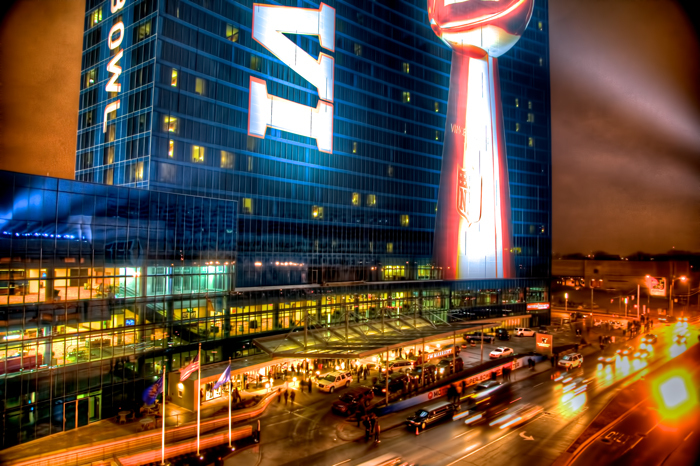 This HDR photo of Super Bowl XLVI in Indianapolis was taken at just before 1:00am early Sunday morning, just hours before the big game match up between the New York Giants and the New England Patriots. This photo was taken at the corner of Meridian St and Maryland St, just a couple blocks south of Monument Circle. It wasn’t until the last minute before I had even decided to show up in Indianapolis to take in the Super Bowl XLVI 46 festivities. Rose and I talked about the uniqueness of the Super Bowl being held in Indianapolis and I explained to her that the Super Bowl doesn’t typically come into cold winter states unless they have a doomed stadium, and even then the chances are still unlikely. This opportunity might not present itself again for another decade or so as we expect the harsh weather to keep the Super Bowl out of Chicago for years to come. Indianapolis is a very unique city to me and certainly one that doesn’t get the recognition that it deserves. It’s an overlooked city; shadowed by nearby Chicago in size while also the second largest city in the Midwest (Chicago being the first). 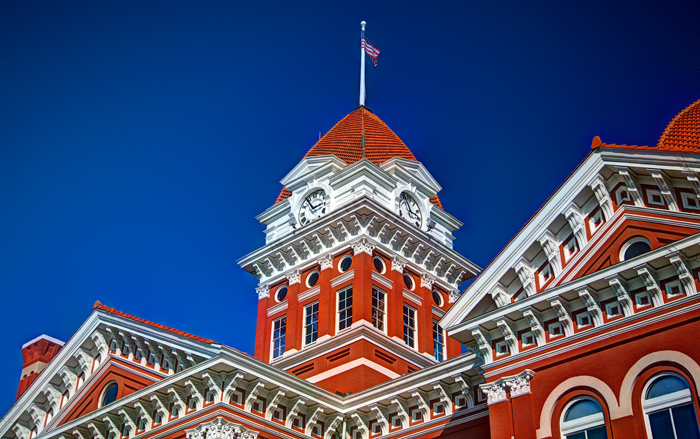 Indianapolis is the 12th largest city by population in the country, larger than Atlanta, San Francisco, Boston, Seattle, Denver, Miami and even Washington DC. 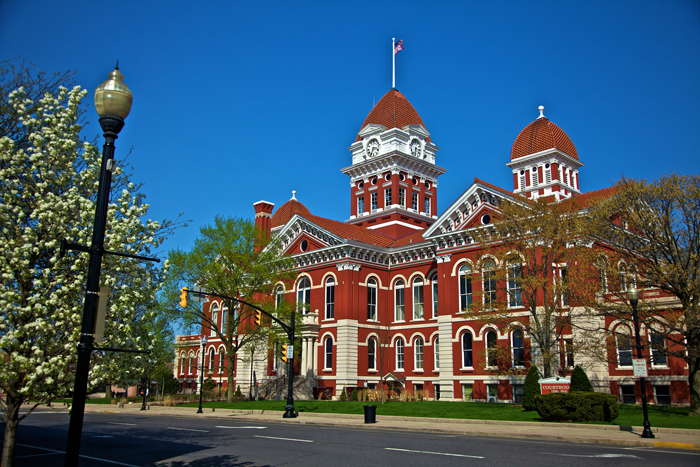 Indianapolis has one NFL team and one NBA team, multiple colleges and universities and a scenic river and state park that runs just outside of the downtown area. Despite Indianapolis having held several NCAA Final Four tournaments, the Indianapolis 500 and other monumental sporting events, this underrated city gets little love, but for one night in February, the entire world watched as Indianapolis hosted one of the most anticipated match ups in Super Bowl history take place. 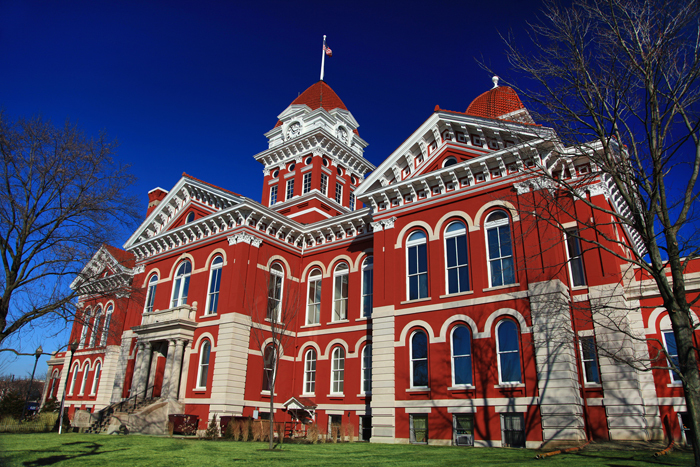 With a record 111 million viewers tuning into the big game, Indianapolis stood proud as a friendly Midwest city that has plenty of food and amenities to offer. 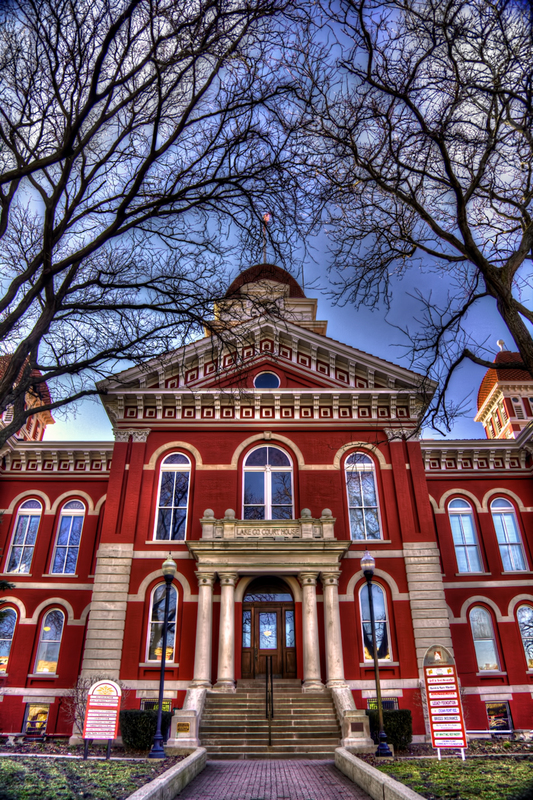 Hopefully this spotlight helps to get some footing under Indianapolis as a tourist destination, or at the least, a great city to stay in while passing through the State of Indiana. Bud Light Hotel Indianapolis by Joey B. Lax-Salinas is licensed under a Creative Commons Attribution-NonCommercial-NoDerivs 3.0 Unported License. Permissions beyond the scope of this license may be available at http://www.joeyblsphotography.com..